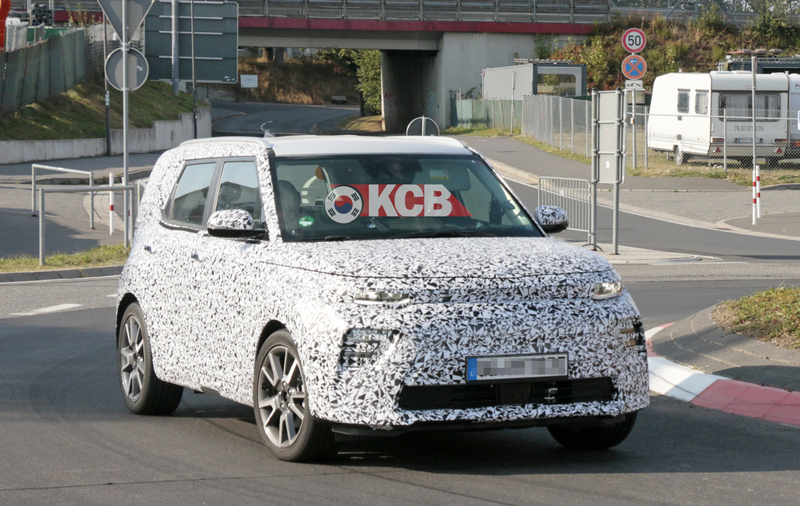 In a few days at Los Angeles Auto Show, Kia will reveal the next generation Kia Soul EV alongside the NA Soul, both to be available during the 2nd quarter of 2019, but for Europe, the Soul EV will be the only one available there. The Soul EV’s powerpack will share the same powertrain as the recently debuted e-Niro, with a choice of a 34 or 60kWhr battery, the latter promising a range of 300 miles (485 km). It will boost Kia’s range of EVs to two models. According to Kia Motors Europe COO Emilio Herrera demand for the e-Niro is expected to hit 20k units/yr by 2019/2020, so the Soul EV could follow this sales expectation. 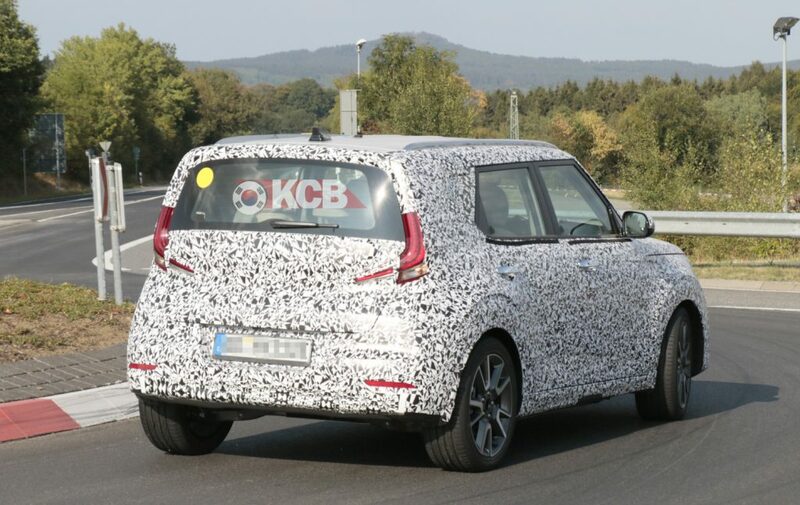 We have some fresh photos showing the upcoming Kia Soul EV thanks to our friends at CarPix. 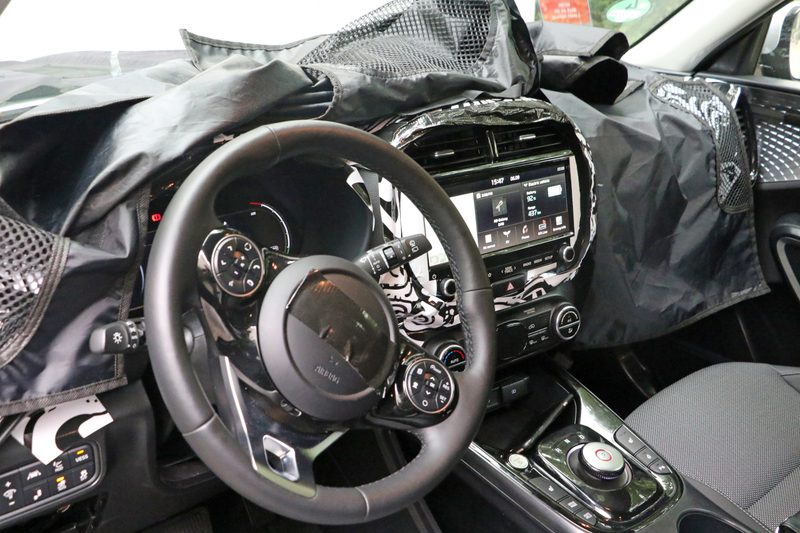 And for the first time, we also managed to get some nice photos showing the dashboard. The general layout is pretty much an evolution of the current version such as the air outlets on top of the big display, but there are also plenty of new stuff. As we can see the gears are now operated by a dial instead of a stick. We can also see that the range of the new Soul EV is pretty good, at 92 % of the charge we still have 437 km to go. On the outside the camouflage is still like the last time we saw it so nothing more revealing there yet.